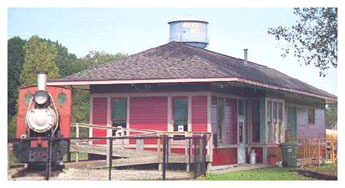 Established in 1989 to illustrate the history of the greater New Buffalo area and in particular to highlight the role the railroad played in its development, the red painted wood framed New Buffalo Railroad Museum is a newly built replica of the original Pere Marquette Railroad Depot, once a busy stop when railways were the easiest way to get to and from this coastal city. Now the museum houses important artifacts, memorabilia and documents from those days and has been laid out to reflect the way a train station might have looked decades ago. 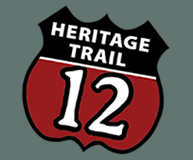 Railroad and history buffs will like seeing the many photographs, books and documents of New Buffalo's past as well as seeing the working miniature train display depicting the Pere Marquette Railroad Yards as they might have appeared in the 1920's. In a historic aside, note that New Buffalo was chosen as the end of the line for the Michigan Central Railroad, chartered in 1846 to take passengers and freight between Indiana and Lake Michigan. In 1849, the year the first rails were laid, 100,000 people traveled on the line, many stopping New Buffalo where steamers such as the Pacific and the Cleveland made runs across the water to Chicago and Milwaukee. A building boom ensued, with hotels, restaurants and shops appearing along Whittaker Street. Four years later, a line was added connecting to Chicago and New Buffalo became a quite town once again.